hey is it really sure that the new album called " lost highway" will be ready on april 2 !! well.. if it's true , I just can't wait to hear it !! OMG OMG !!! but hope it DOESN'T sounds too much like country music....! do you have some details about this album ? OMG!i dont know anythin about that! IT SOUNDS strange!but "lost highway"doesnt sound like BJ style! oups I just didn't want to say that I was hoping for country ! lol I forgot to write some words in my sentence ! I'Ll edit it lol! I dont dislike country,but is this come too fast?they just ended HAND tour,or will that be jon's solo? yeah I know it's really fast !! But they already played a new song at a special event with the fan club member I think. the song was called "Ace". Someone from the board was at this event ! Then i really cant wait! "ace"?sounds strange but cool! I'M GETTIN' EXCITED! I am getting excited too !! 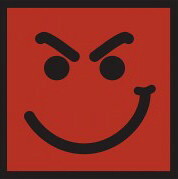 new album mean more bon jovi song and probably a new tour ! wooooo they can't stop working !! In the 11-17 November 2006 issue of Radio Times, Jon Bon Jovi revealed that the band were back in the studio working on a new album, and will be touring again. In a more recent fanclub event, Jon Bon Jovi revealed that the new album has the working title "Lost Highways," containing a song of the same name. It is rumored to be finished in December, and released sometime in April. On Saturday the 18th of November Bon Jovi appeared on T4 in the UK. Jon confirmed that the album would be finished by Christmas. OMG!! !I CANT BELIEVE IT!! !OMG!THIS IS THE BEST NEW YEAR GIFT!! !OH,MY JOVI!LOST HIGHWAYS!I CANT WAIT!OMGOMG!!!!! and have you seen... on the board : no news since a lot of time ! I guess it's the calm before the storm ! lol!